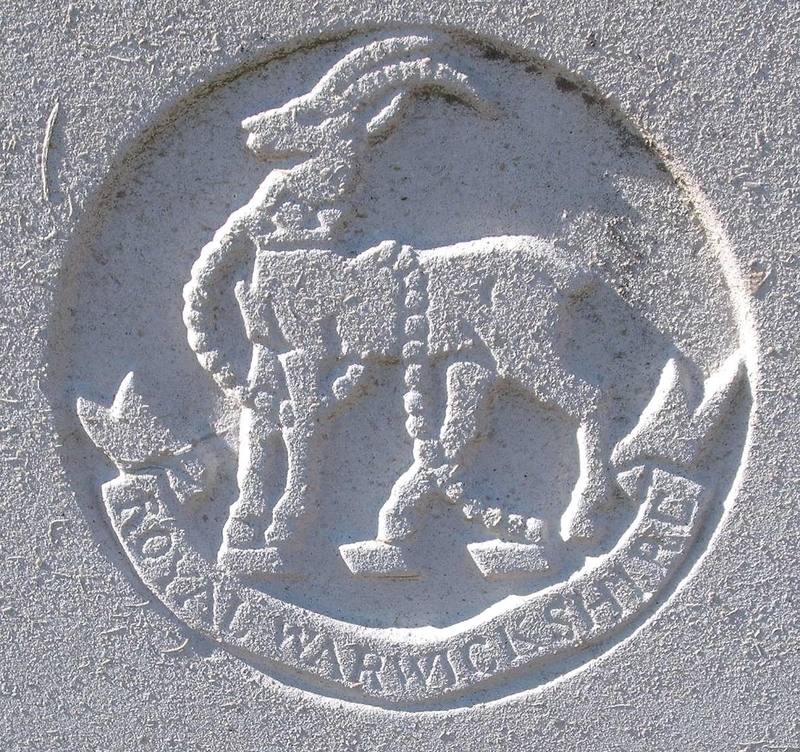 15th (2nd Birmingham) Bn, The Royal Warwickshire Regiment, 13th Brigade, 5th Division, B.E.F. Next of Kin: Son of Ernest George and Effie J. Williams, of St. Mary's St., Thornbury, Bristol. Lawson Williams was born in Malvern Link in 1897. The 1901 Census shows the family living at 1 Sydney Place, Wilton Road, Malvern Link. Lawson’s father, Ernest was shown as a clothier and outfitter. By 1911 the family had moved to Worcester. Lawson was living with his mother, older brother and sister at 10 Arboretum Road, Worcester. This was a boarding house run by his mother, Hepzibah (known as Effie) and Lawson was the shown as an “errand boy” at the time. Those staying had solid lower middle class jobs – a journalist, dental assistant and draper. Lawson’s father was staying in Leominster on business on the night of the census – by now he was a clothier manager. On the outbreak of war Lawson travelled to Birmingham to enlist in one of the City Battalions of the Royal Warwickshire Regiment. At this time he gave his home town as Malvern. He landed in France with the 15th (2nd City) Battalion on 21st November 1915 and served with them until his death in June 1916. “…special mark being made of certain points in our trenches, with the result of completely isolating that portion of the front line held by ‘B’ Company, i.e. central section of K1 sub-section. Telephonic communication was entirely cut off between our front line and Battalion HQ. “Bombardment ceased shortly after 7pm. B Coy’s HQrs and other dugouts were reported smashed in, and the officers (subsequently found to be Capt A H TATLOW, Lt J C LARKINS and Lt MADDOCKS) and a good number of NCOs and men (number unknown) were buried beneath the debris. “Working parties commenced clearing the trenches etc and about 9pm a fresh bombardment commenced with the same intensity as before. Telephonic communication, although attempted, had not been restored. “Our artillery, which had only engaged the “heavies” during the afternoon, now replied very effectively on the enemy trenches. Subsequently, it appeared that between 500 and 600 of the enemy were engaged in a raid on a large scale. “The number that actually entered the remnants of our trenches (the section held by ‘B’ Company) is unknown, owing to our weak defences caused by casualties earlier in the day and quantities of arms and equipment that had been buried, the enemy succeeded in entering this portion of the trench and bombed the sentries and remaining dug-outs. That evening the battalion were relieved by the 2nd Kings Own Scottish Borderers, who themselves had suffered a number of casualties on their way up to the line. The War Diary of the 15th Royal Warwicks only recorded officer casualties for this day (3 officers killed, 2 wounded), but Commonwealth War Graves Commission records show that 63 other ranks were killed on 4th June. A good many of whose bodies were recovered and are buried at the Faubourg D’Amiens Cemetery at Arras (50 men), the remainder are commemorated on the Arras Memorial.